“how closely the arguments of Christ’s critics match – in substance and style, if not specifics – the arguments of anti-Mormons today. 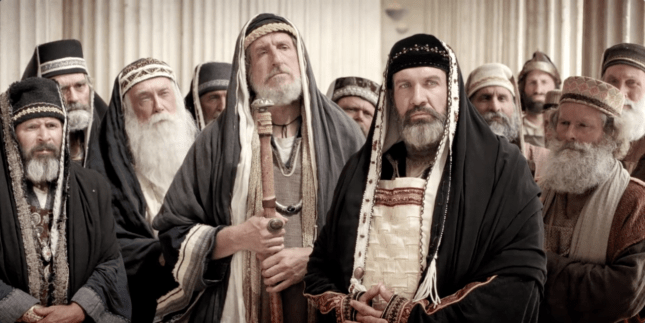 The scribes and Pharisees were basically just the OG anti-Mormons. Today’s anti-Mormons cling to the same old lines of attack as 2000 years ago in the hope they have become better with time (they have not). Dr. Dreamer went on to list and explain nine “tactics” he believes critics of Mormonism use to “tear down LDS people’s faith in a hostile or bigoted manner.” They include things like criticism of church leaders, using prejudicial labels, and finding fault with church members, among others. I’m not going to critique Dr. Dreamer’s entire blog post by examining all nine “tactics” that he lists. But I will say that the way he has presented his list lacks substance. While he makes an effort to ensure that readers know that not all those who “doubt, question, [or] critique” the Mormon church are targets of his criticism, Dr. Dreamer does not provide his readers with any specific examples of who the guilty critics are, or what they have actually said that is deserving of his incrimination. The whole article comes across as one long accusation that leaves the accused (whoever they are) with no avenue for defense. Dr. Dreamer’s vagueness assures that there is no way to challenge his accusations or clarify any misunderstandings he may have regarding the criticisms he says anti-Mormons employ. We at MRM are often accused of being “anti-Mormon”; I wonder if Dr. Dreamer intended to point his finger at us. Hopefully he recognizes that Mormonism Research Ministry has no interest in “tear[ing] down LDS people’s faith in a hostile or bigoted manner.” Our goal is to point Mormons to Christ and the one true God, though that does involve introducing Mormons to some difficult truths. At any rate, what I found most interesting in Dr. Dreamer’s article is this: Many of the pharisaical “tactics” that he censures are the same tactics that have long been used by Mormon leaders against historical Christianity. Joseph Smith said that in 1820 he didn’t know which Christian church to join so he went into the woods and asked God in prayer which church was right. He said he had a vision and was told that he must not join any church, for they were all wrong and all their creeds were an abomination in God’s sight. The dictionary defines “heretic” as one who believes heresy (i.e., within the context of Christianity, false doctrine). Here, Mormonism accuses every Christian church and every Christian creed of being heretical, and every Christian who believes those creeds or doctrines of being a heretic. Dr. Dreamer calls this a “tactic,” yet given the definition of “heretic” this doesn’t really seem to be a strategy; it is simply the necessary outcome of exposing what one believes to be false (heretical) beliefs. Dr. Dreamer provides no examples of this behavior; the staff at MRM works hard to be found innocent of these kinds of things (making fun of or distorting someone’s beliefs). Rather, when we discuss official or authoritative LDS teachings, we endeavor to do so accurately. On Sunday, October 15th, 1843, Joseph Smith explained to his congregation that some of his teachings differed from what was said in the Bible because the Bible had been corrupted from its original form by “ignorant translators, careless transcribers, or designing and corrupt priests.” Joseph challenged “any man” to show him (and prove by “Holy Writ”) if anything he believed was wrong. 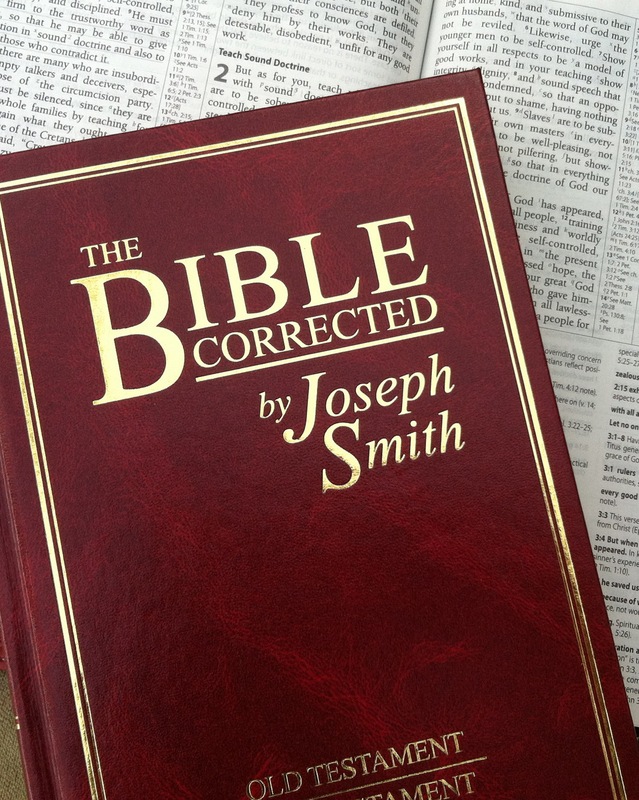 In its context, Joseph was specifically talking about his own corrections to the biblical text. Over the ensuing 176 years, many Christians have challenged Joseph’s assertions and have provided scriptural evidence highlighting his errors while also providing evidence for the integrity of the biblical text we have today. As Mormonism continues to hold to the insufficient and unreliable nature of the Bible, the available evidence to the contrary continues to be disregarded. Dr. Dreamer seems to indicate that a critic’s request for evidence is somehow unfair. But it’s clear from the Bible that God Himself values evidence; He provides plenty of it so that our faith may be informed and rooted in truth. Mormon leaders have long pointed to the Old Testament words found in Amos 8:11-12 to insist that Mormonism’s assertion of a complete apostasy was prophesied in the Bible. In order to use this passage from Amos, LDS leaders have to remove it from its context; because in context, the passage does not and cannot fit the Mormon narrative. Mormon leaders, as critics of biblical Christianity, take this and other biblical statements out of context in order to promote Mormonism’s disdain of the historic Christian faith. I could continue to provide LDS examples for the remaining “tactics” on Dr. Dreamer’s list, but I’ll stop here and say that I doubt Dr. Dreamer would classify the critical words of LDS leaders as “anti-Christian.” The point is that often the sense that any given criticism is “hostile and bigoted,” or “neither sincere nor constructive,” is highly subjective. One person’s “blathering” criticism is another person’s life-giving truth. Dr. Dreamer has “poisoned the well” with his article, prepping Latter-day Saints to heedlessly dismiss nearly all difficult questions and concerns about the church. “For every legitimate critique of the Church,” he alleges, “anti-Mormon writings will include 1 or 10 or 100 claims that are illogical or misleading to the point of dishonesty.” My prayer is that Latter-day Saints will recognize the fallacy of Dr. Dreamer’s blanket condemnation and reject it. Though confronting criticisms and challenges may be hard, a life changed for God’s glory is certainly worth the struggle.